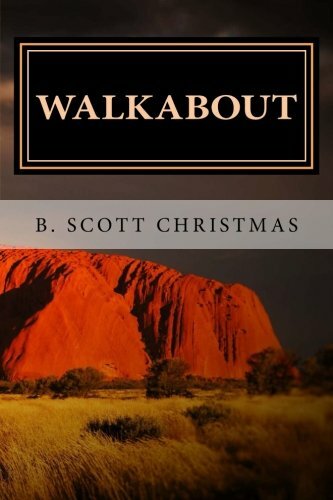 I am pleased to announce the publication of my first novel, Walkabout. As most of you know, I have previously published a number of non-fiction and short fiction books on Amazon, but this is my first foray into full-length novel publishing. 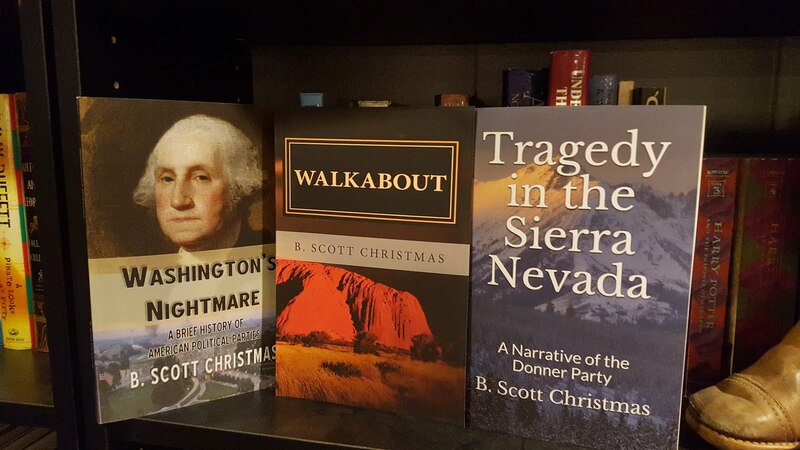 Walkabout is actually the fifth novel I've written, but for a variety of reasons, I decided to make it the first one to publish (my next project will be to edit and publish one of my other previously written novels). I first completed Walkabout in 2004. After failing to find representation for it, I sat it on the metaphorical shelf, where it's been ever since. At the beginning of this year, I decided to pull it out and completely re-write it from beginning to end. Once I completed that process, I again attempted to find representation for it. Unfortunately, despite several "close calls" from a couple of agents, I again failed to find representation. So I have decided to self-publish it through Amazon, offering it in both e-book and paperback formats. I'm absurdly proud of this book - "absurdly" because self-publishing is a bit like going into a trophy store, buying a big huge trophy, having your name inscribed on it, then taking it home and showing it off to everyone and saying: "Look at my trophy guys! I'm number one!" Despite that, I am proud of this book: proud because I think it's a good story, and proud to see my name and my work on an actual ink-and-paper book. 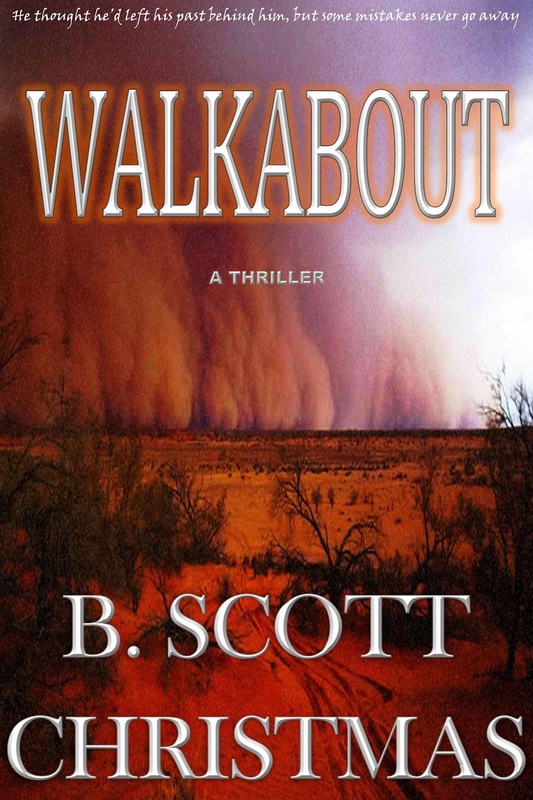 Walkabout is a thriller set in Australia. The main character is an American who fled to the Outback in the mid-1990s after committing a crime in the States. Since then, he has taken an Australian wife and has been working as a cattle rancher and part time tour guide. While on a job with a client doing archaeological research on an Australian island in the Indian Ocean, he discovers that the FBI has finally caught up to him and is on his trail. He escapes capture, returns to the Australian mainland, and a manhunt ensues as he attempts to meet up with his wife, who is also being pursued by American agents. I researched the hell out of this book, and it involves a lot of exotic locales, rich description, and action and suspense. The e-book version will set you back $4.99. If you prefer the paperback, it will set you back $9.99. I can purchase copies of the book myself for wholesale cost, so if you have your own website or blog, and are willing to read the book and write a review for me, I would be glad to give you a free copy of either the e-book or the paperback (on a first-come, first-serve basis, of course). Regardless of how you come by the book, if you DO read it, I would be much obliged if you would leave me a review on Amazon, and tell your family and friends about it. If you have your own website and would like to do a write-up of the book for me, contact me and I will get you a free copy. You can either contact me through the comments section on this post, or through email/Facebook/Twitter/face-to-face, etc.